Welcome to my first ever giveaway on my blog! 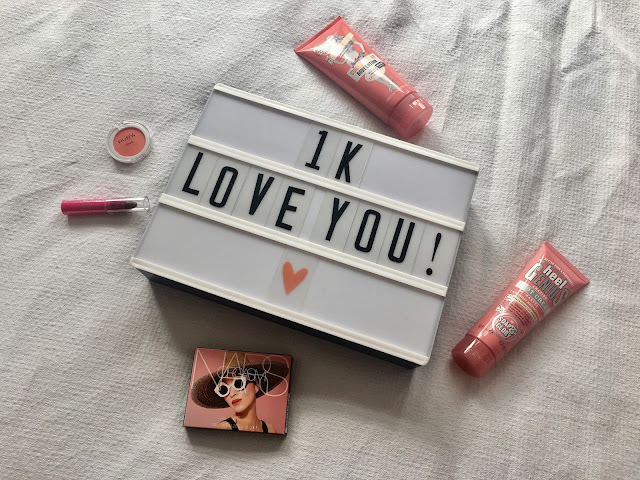 To thank you all for 1,000 followers on Instagram I have decided to give away a beauty bundle worth over £50, so that one lucky winner with have some of my favourite summer beauty products! 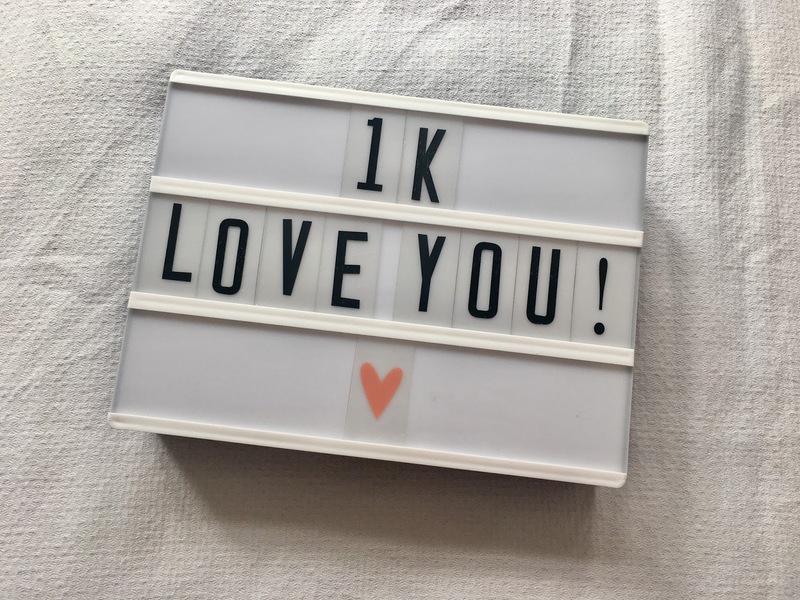 I'm so grateful for all your support on all my social media and blog, and I'm so happy to celebrate reaching 1,000 followers over on my Instagram account. I'm so excited to finally be doing a giveaway and I hope you take part in it! So enough of me waffling on - what can I win!? My favourite blusher ever. I have rebought this item twice now and so decided to feature it in my giveaway. I find the shade is perfect for my skin tone, and it gives a beautiful, natural pop of colour on my cheeks. This body lotion is an amazing way to make you skin look amazing for summer! Simply massage the cream into your body evenly, and after a few minutes you will have a beautiful tan without horrible streaks and weird smell! It stays on for hours, and then all easily comes off in the wash.
My absolute favourite foot cream! Now summer is on its way, its important to get your heels ready for sandals and flip flops! This Soap & Glory foot cream is highly moisturising, and I love applying it before bed each night! Who doesn't love a good contour product? It's a simple and easy way to achieve definition on your cheekbones and other facial features, and the product is a great natural shade, and very easy to blend. It's a great beauty product easily pack with you if you are going on holiday this summer, or on weekends away or to festivals! This blush has a very silky texture and it is highly pigmented. 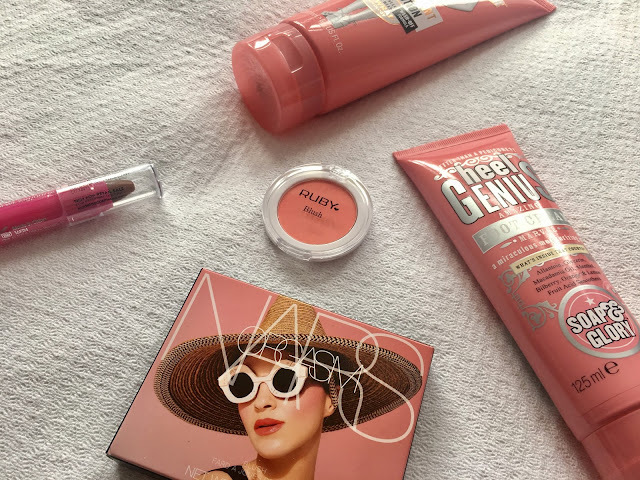 It gives the perfect coral tint on to your cheeks for summer! Simply enter with the Rafflecopter below and good luck!